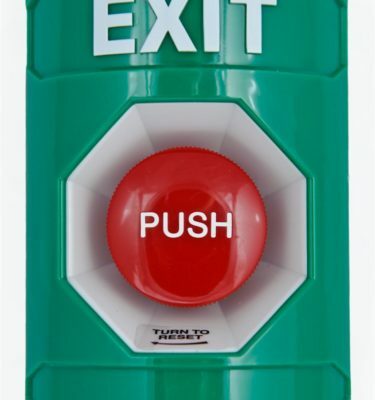 This ADA Compliant, momentary 2″ button helps eliminate having to stock dozens of push buttons. No longer waste precious time and money tracking down just the right button for a customer. Everything required to provide just what a customer wants is included in one convenient package. Ready to assemble out of box, Universal Button is easily installed within minutes right on site. 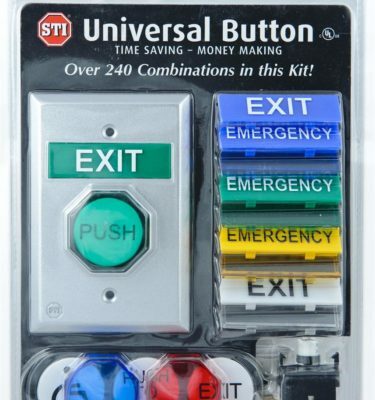 Universal Button offers over 300 different combinations for the price of a standard one configuration button. The faceplate is constructed of cast aluminum, allowing it to take tough knocks in stride, and is slightly oversized to cover old plate installation marks. 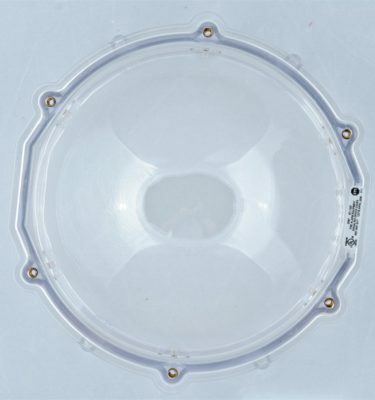 The button and message plates are constructed of high impact polycarbonate. 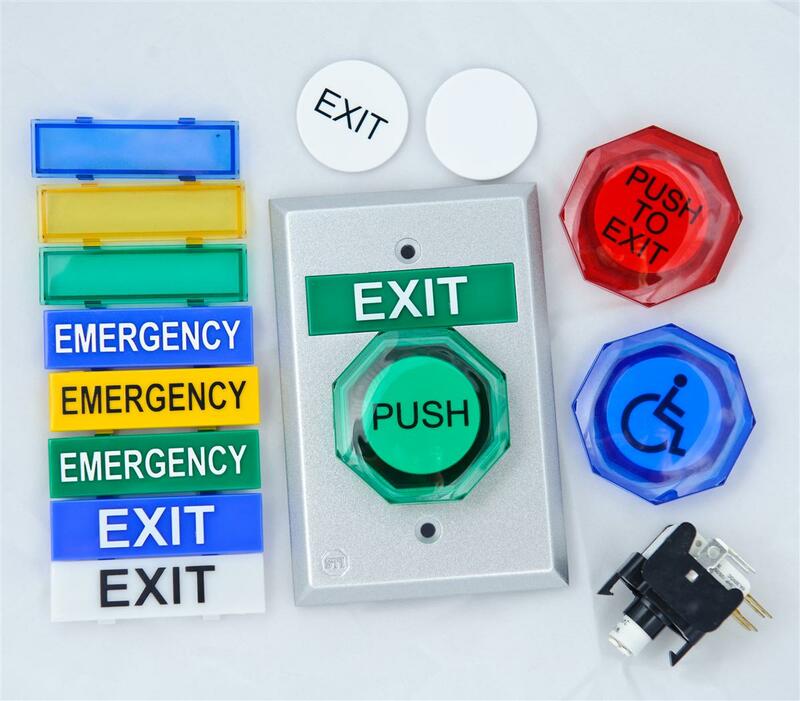 Button package includes: faceplate, three illuminated push buttons, four interchangeable button messages and ten interchangeable activation messages. Over 300 different combinations, one convenient package. Faceplate constructed of cast aluminum. Single gang plate slightly oversized to cover old plate installation marks. Button and message plates are constructed of high impact polycarbonate. Standard or illuminated 12/24 volt white LED button. Two sets of Form “C” contacts. Three different lens covers – red, green or blue. Four inserts for the button itself – EXIT, PUSH, handicap symbol or blank. Ten color coded message inserts in green, blue, yellow or white. Plate messages inscribed with EXIT, EMERGENCY, EVACUATION or blanks (allowing for custom labels).